Who doesn't know Newtown? The bohemian-like suburb with great stores along the main road. From indie clothing labels, indie bookshops, thrift stores and lots of murals. 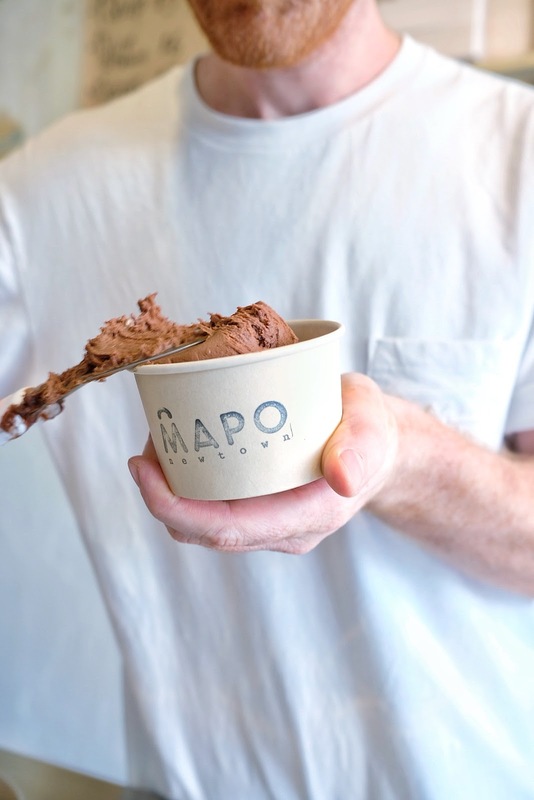 Here is also where the Mapo Gelato located, few minutes walk from the station. Why it called Mapo? It turned out the name this Italian Gelato is an abbreviation from owner's favorite fruits in Italian which are Mandarino and Pompelmo, or in English is Mandarin and Grapefruit. Mapo is also coincidentally (or not :P) as the abbreviation of the name of the owner, Matteo Pochintesta (don't let him know that I tell you this,hahaha). 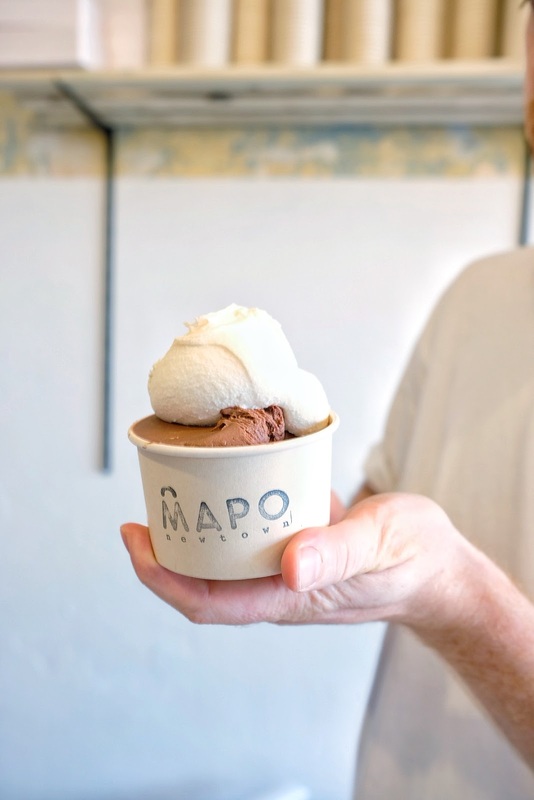 Matteo and Emanuela make the gelato in-store with fresh and natural ingredients. The simplicity of the store really warm you up whenever you come inside. During my visit they serve at least 15 different flavours with 7 seasonal flavours. You can check on their menu whether it is Vegan, Organic, Fat Free, Lactose fee, Nuts Free or Gluten Free or you can just tell them you preference and they will happily inform you. What I like the most from this gelato is actually the taste. 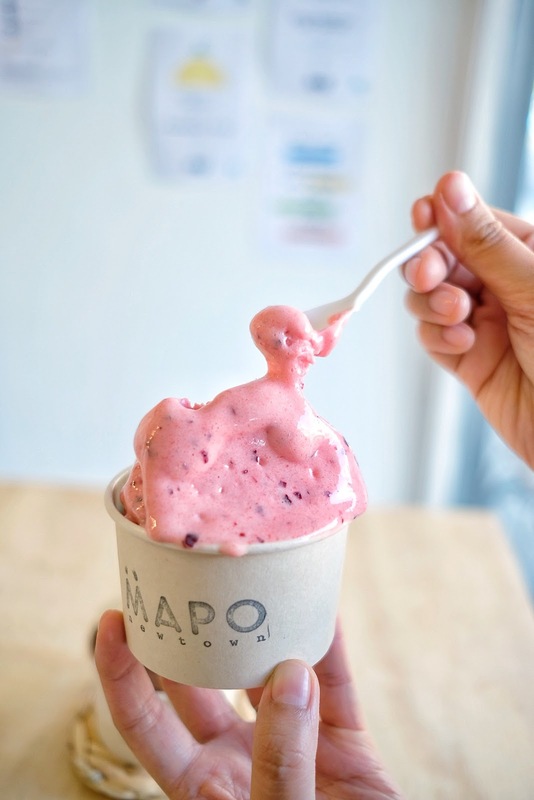 It is not overly sweet like any other gelato and when you try it, you will know that it made from fresh ingredients. The most favourite one are Caramello al Sale (Salted Caramel) and Pistachio di Sicilia (Sicilian Pistachio). The price range is from $5.50 for one scoop up to $29.50 for 1.5 litre tub. We tried the mix of Sicilian Pistachio and Red Plum plus Salted Caramel and Gianduja. From those four flavours, my favourite one is Gianduja which made from single origin Ecuadorian Chocolate and Piedmont Hazelnuts, they even put it "aka Like Nutella, but better" oh the menu list. Couldn't agree more. 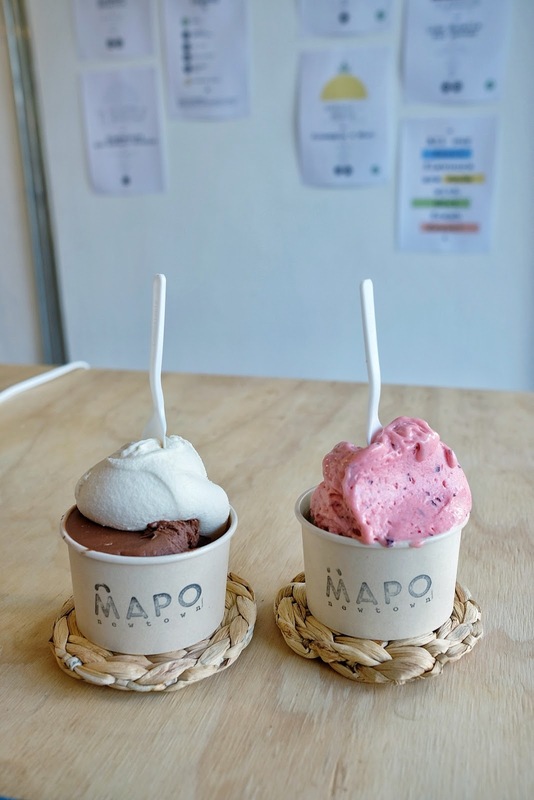 So shall we do some Gelato date to Mapo, now?